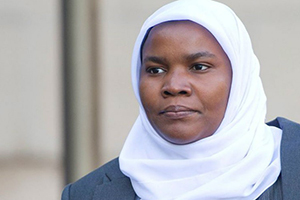 On 12 August Dr Hadiza Bawa-Garba won her appeal to practise medicine again. Dr Bawa-Garba was convicted of gross negligence manslaughter in 2015 over the death of Jack Adcock, who died of sepsis at Leicester Royal Infirmary in 2011. She was struck off in January 2018. The case had raised strong feelings among healthcare professionals. AvMA has called for all concerned with the controversy to reflect deeply on how this affair has been handled, and work together to create a truly just culture in the NHS – one where there is openness, accountability and learning to protect patients, and fairness to all those affected. “Whichever side of the arguments people have been on, there is now an opportunity to move on and deal with some of the deep-seated issues that this controversy has highlighted,” said AvMA Chief Executive Peter Walsh. “No-one should be under any illusion that the ruling itself changes the fact that we still have an NHS which too often leaves patients at risk and health professionals in near-impossible positions. There continues to be too much of a blame culture where individual health professionals are made scapegoats for systemic failures. There still needs to be more openness and honesty when things go wrong, and accountability when appropriate.